It's Friday! Yay! And guess what? Like every Friday morning, I've got a lovely lineup of inspiring ideas to share with you all. Have a look at what caught my eye this week and make it a great weekend, friends! Oh, and great news! We had a couple of new Vendor Guide Members join The Perfect Palette family this week. They are Jillian Tree Photography and Beauty Entourage! Loving this classic Black and White look by over on 100 Layer Cake! Loving the DIY backdrop idea from this creative wedding over on GWS! 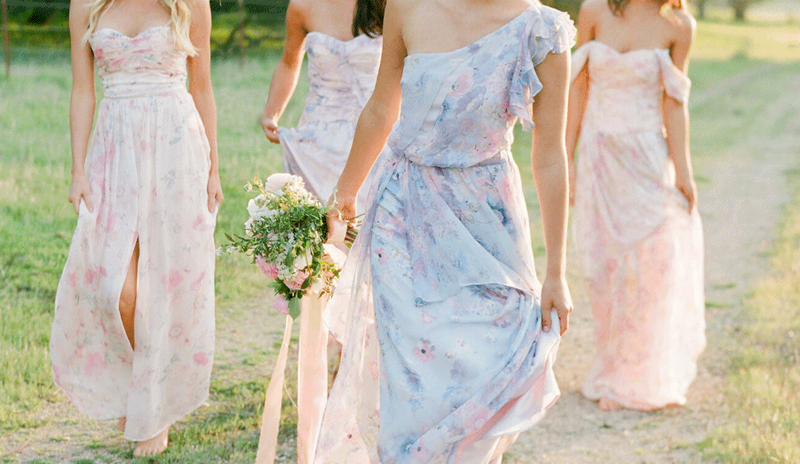 Have you seen the NEW Bridesmaid Dress Collection by Plum Pretty Sugar?